Would have heard of stoppage of Postal service due to varied reasons ! – this is one is different, yet !! Once a mammoth Govt Dept employing most people next to Indian Railways, the Department of Posts has lost most of its pristine glory now. The post man was once the most respected and known person in any village as people waited for his arrival expectantly everyday.. History reveals that it was way back in 1712, Governor Harrison first started a Company Postal Service in Madras to carry mail to Bengal by dak runner. By 1736, a postal system of sorts was in place with a somewhat greater vision. In 1774, a system of charging postage on private letters began. Decades later the postal rules were in place ~ Chennai General Post Office was initially opened in Fort St. George Square, just outside the Sea Gate, on 1 June 1786. People would walk down to Post Office though there were postboxes on every street and then there were Mail vans – the one that used to stand opp to Marina ground inside the beach road is fresh in memory. A report states that in US, the number of postal employees attacked by dogs nationwide reached 6,755 in 2016 — more than 200 higher than the year before. The U.S. Postal Service (USPS) released its annual ranking of top dog attack cities, highlighted safety initiatives to help protect its employees and offered tips to pet owners. In one awful instance, a 55-year-old postal worker, was mailed by a dangerous dog, later died of cardiac arrest as a result of his wounds. One Postal worker expressed his fear on checking whether there was a dog in the area and whether it was a threat when it came to delivering letters in lone areas. 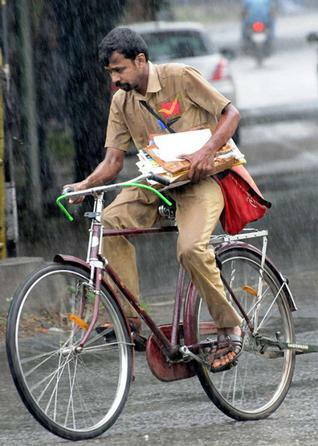 Postal workers are not alone, as the same menace is faced by Couriers, and delivery personnel of e-commerce platforms. For such people, more online sales mean more package deliveries, meaning more exposure to household pets, some of which aren’t exactly welcoming. Los Angeles topped the list of U.S. cities with the most dog attacks, with 80 postal workers reporting having been bitten there last year, according to the USPS. Other large cities such as Houston and Chicago appeared in the top 10, but so did smaller cities such as Cleveland, which ranked third with 60 attacks, and Louisville, which ranked fifth with 51. 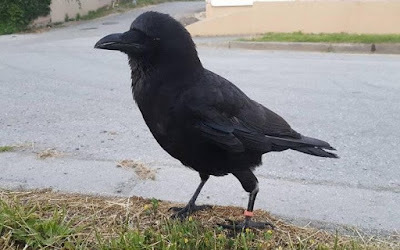 Now read this interesting news of stoppage of postal service in Canada – to a Vancouver neighborhood after repeated attacks on its carriers by a crow. Canuck the crow - last year thought to have disrupted police work by disturbing a crime scene - often swoops in and peck at carriers delivering to three homes on the city's east side, according to local reports. On one occasion, one worker was left bleeding. A local resident is quoted as stating that the bird had adopted the neighbourhood as his home. He told The Canadian Press: "He just built a nest this year and that’s basically what got him all up in arms." The frequent pecking has resulted in some residences being without mail delivery for months. Canada Post spokesman Phil Legault said in a statement to AFP that the safety of its employees is "of most importance." He cited several incidents "in this neighborhood when our letter carriers were attacked by a crow." Residents, he said, have been advised where to go to pick up their mail, adding that postal service would resume "as soon as possible when it's safe." This bird believed to be the very same crow gained notoriety in 2016 for stealing a knife from a crime scene. It has also been spotted riding the city's metro and earlier this month got into a flap with a McDonald's diner while trying to steal her breakfast.